Ceiling designs are the best way to add character and detailing to the room. We have a collection of ceiling designs that can be used for making the ceiling more gorgeous. A good Ceiling design can you transform the entire look of the ceiling. Please read about the various types of ceiling designs and types given below and use them according to your choice and room size and height. Ceiling is very important design aspect in the interior design of your house. A good ceiling design can add character to any room. 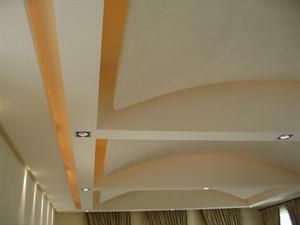 Here we have some ceiling design which can enhance the beauty of your home. 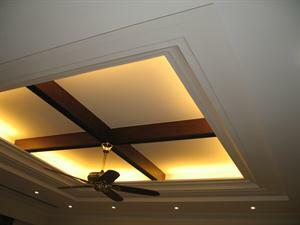 Tray ceiling is usually used for drawing room or for high ceilings. In Tray ceiling molds are used to make borders of the ceiling and to make it richer and elegant we can hang a chandelier or fan in the centre. 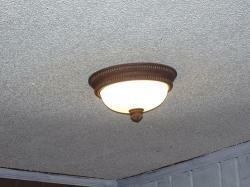 It looks like an inverted tray with decorative molds around the edges that's why it is known as Tray ceiling. You can paint your tray ceiling or use textured wallpaper to decorate it. You can also install ceiling tiles to make it more beautiful. A coffered ceiling divides a ceiling into a grid of recessed panels accented by dropped beams, usually in the form of multiple squares or rectangles. Use Recessed can light with a coffered ceiling to get soft, reflective light throughout the room. Drop ceiling ideas is used for the modern house or apartments. It is also known as secondary ceiling, which is hung below the main (structural) ceiling. This type of ceiling is lower in height and used to give the room a very modern, elegant and cozy look. It is best for basement ceiling. You can use Drop Ceiling Designs for bedroom, kitchens and sometimes for drawing rooms also in many modern homes. It also helps save a lot of electricity for air conditioning. 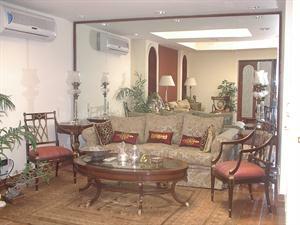 Vaulted Ceiling can be used for giving dramatic feel to your room. This type of ceiling gives cozy touch to your home. You can use arched, domed, barrel and any other shape of these ceilings in your home. If the space of your room is limited, then too these designs are suitable as they make the room appear spacious. Vaulted ceiling are little bit expensive. Cathedral ceiling provides high sloping line up to the top of the house where as vaulted ceiling extends a room upward. 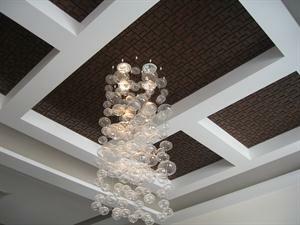 Both type of ceilings are good for lobby, foyer or in the larger area of the house. Cove ceiling has a rounded concave surface. It can be used in the area where a fluid effect is required such as arched doorways, hallways, or other areas of the house. Designing a concave ceiling need extra materials, time, skill and creativity as it's difficult to create a perfectly curved. Plaster of Paris (POP) ceilings are most popular ceiling design now days as these are easily affordable and can be design in number of ways. POP Ceiling Design are widely adopted for homes, offices, restaurants, hotels, malls, hospitals in short they are suited to all building types. You can create beautiful false ceilings with POP. You can use the POP with any type of other materials used for ceiling for example you can use POP with wood or glass for modern ceilings. Wood ceiling designs ideas & designs can give your room a warm and cozy look, it is good for the colder regions. It offers a rich and luxurious look to your room. You can design beautiful designs and patterns in wooden ceiling and can be suited with any kind of false ceiling mentioned above. 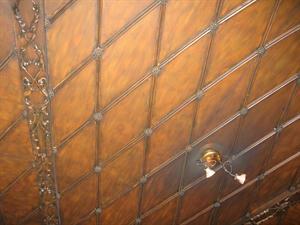 Wood such as Lime tree Pear, Maple, Beech and Cherry are used to make Laminate and Veneer wood ceilings. Glass ceiling designs ideas & designs can be used to get modern look in your home. 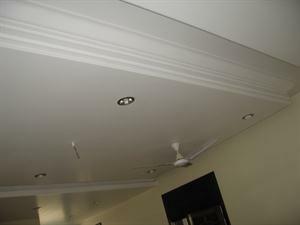 This type of ceiling is best for your drawing room. Add beautiful lights to bring more shine in your ceiling design. Popcorn ceiling designs ideas & designs: Popcorn ceiling is very beautiful and easy to handle. It need little bit extra care as they can look dull and unattractive when they are soiled and covered with dust particles. Do not use this type of ceiling for very large area you can install popcorn ceiling for accelerating architectural elegance. Many people think that ceiling designs are not meant for the lower ceiling height which is not correct as there are many ceiling designs like crown molding, gathered fabric or else the design of pained sky that can be used for lower height ceilings. 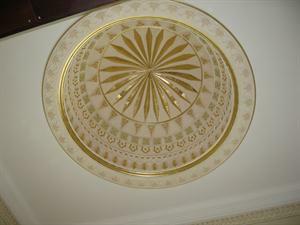 If you want to give little more striking effect in your ceiling, add a dome or a medallion. Add some beams and paint the beams with soft colors to make the ceiling design more subtle. I love this post. I think that painted cieginls can be such a nice element in a room. I went to a showhouse last year, and the walls were BM linen white, the cieginls were Sherwin Williams sea salt, the curtains were sheer linen in the same tone as the ceiling, and the rug had the same green/blue as the ceiling and the curtains, and it was so beautiful. The walls in my family room are BM Harbour Town (a green) and the cieginls are 1/2 strength. It is amazing how different the color looks on the ceiling the walls have a yellow undertone (to my eye), but the ceiling seems to have a blue undertone. It all looks fine, but I notice this sometimes.I am really liking the look of a room that has the wall, ceiling, and trim all painted in the same color, just different finishes. I am also really liking the look of a ceiling that is somewhat glossy!